The Conti di San Bonifacio Winery is nestled between the Maremma hills and the coastal plains of the Tuscan coast. A garden vineyard and boutique Cantina produces beautifully crafted wines, made with passion and authenticity. The Winery works hand in hand with its Wine Resort Hotel set on the brink of a hill with views across their vineyards and the surrounding medieval villages far off in the distance. Explore our award-winning wines and the winery. Winemaking has been a family tradition for 1,000 years. With the wine resort I’m proud to continue the legacy. Our wines consist of: Monteregio di Massa Marittima DOC, Docet IGT, Docet IGT & Prosecco DOC Treviso Extra Dry. Click through to learn more about the wines. Our unique terroir here is eveything to us. Discover our approach to winemaking and the detail of the composition of our soils as well as the light, weather and temperature. 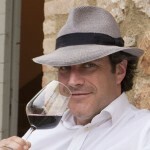 Background on our winemakers, including our oenologist, friend and wine guardian, Luca d'Attoma. The winery is open everyday from 9am to 5pm and offers several tours and activities for wine lovers. Join our exclusive Conti di San Bonifacio Wine Club – enjoy priority access and pricing to all of our wines plus other benefits, including Club Member rates at the Wine Resort. Conti di San Bonifacio works together with distributors in the UK, the USA, Germany, Switzerland, Denmark and Sweden. To work with us as a trusted partner please speak with our team.